Local Mobile Brand, Kata Philippines is setting up to release a new budget smartphone called Kata i3s. 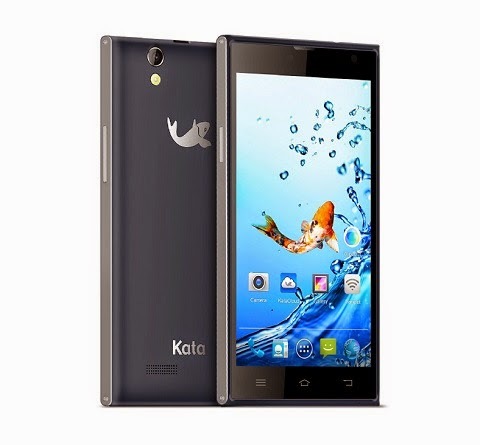 The new Kata i3s comes in a 5-inch HD display with 294ppi density. Powered by a MediaTek MTK6582 quad-core chip clocked @ 1.3GHz, paired with 1GB RAM and 16GB internal storage that can add 32GB via microSD. For Php6,499 price tag, the i3s carrying a 13 megapixel AF rear camera w/ LED flash and 5 megapixel front camera for selfies. It also a Dual-SIM, Dual-Standby smartphone and running on an Android 4.4 Kitkat OS. With 2,250mAh Li-po battery module, the Kata i3s support 3G HSPA+, WiFi 802.11 b/g/n, and Bluetooth 4.0 + HS connectivity. Starmobile Grandest Sale Ever: Save Up to ₱5,000!